Want to help investigate water quality? Become a PLSLWD Monitoring Volunteer! Read the descriptions below to learn more about each opportunity and choose which program is the best fit for you. CAMP or Citizen Assisted Monitoring Program engages volunteers on lakes around the state to gather water quality data. This data is used be cities, counties and other government entities to determine the most efficient way to treat impaired waters and keep good quality water pristine. Currently the Prior Lake – Spring Lake Watershed District have three CAMP volunteer monitors working on three different lakes; Buck lake, Haas Lake and Prior Lake. The volunteers learned various techniques to gather information on water quality. They take secchi disc readings, take water samples for total phosphorus and Kjeldahl nitrogen, temperature, and decant water through a filter to gather the chlorophyll-a amount. The volunteers also take notes on the recreational and physical appearance. The volunteers also gain increased awareness of their lake’s condition. The CAMP monitoring program runs from April through October. The monitoring itself is done on a bi-weekly basis with pickups once a month. Contact Jaime Rockney if interested, jrockney@plslwd.org or 952-440-0068. To learn more about this program, visit our Lake Monitoring page. BioBase is a computer program that uses basic sonar data from a fish finder, pairs it with GPS coordinates and creates colorful maps that depict vegetation densities, lake bottom contours, and even lake bottom hardness. PLSLWD is using this program for planning future projects, assessing the health of the lakes in the District from year to year, defining locations needed for Curly-leaf Pondweed (CLP) treatment, better understanding of species variety and indications of where plants are likely to grow and confirming effectiveness and accuracy of treatments. Data collection is easy to do if you have a Lowrance Depth Finder (the PLSLWD can provide if needed), a boat, and some free time to cruise around the lake. It is done at low speeds (less than 5mph) where vegetation is commonly found (near the shoreline or shallow areas) to record vegetation density. Even if you do not have time to map the whole lake, just completing a section of it helps! Contact Sarah Mielke if interested, smielke@plslwd.org or (612) 361-3295, training and assistance provided. The District tracks how much precipitation falls in what parts of the watershed and submits the data to the local climatologist. 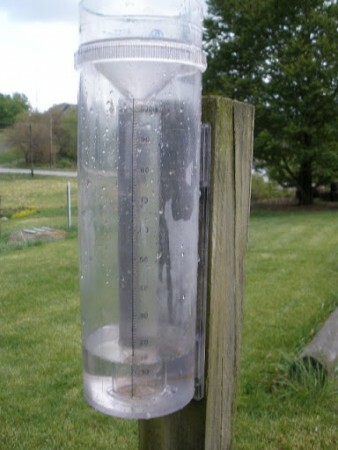 If you are interested in helping measure rain and snow fall amounts contact Jaime Rockney, jrockney@plslwd.org or 952-440-0068. To learn more about this program or view previous precipitation data, visit our Precipitation Monitoring page. The District tracks the ice-on and the ice-off dates for District lakes. looking for residents to help report lake ice-out dates or record precipitation. Lakes are considered iced-over or clear when 90% of the lake is ice-covered or open-water, in the fall and spring respectively. It’s fun, easy and no experience is necessary! Volunteers are needed for both large and small lakes in the District. Not sure if a lake by you is in the District? Check out our lakes page! 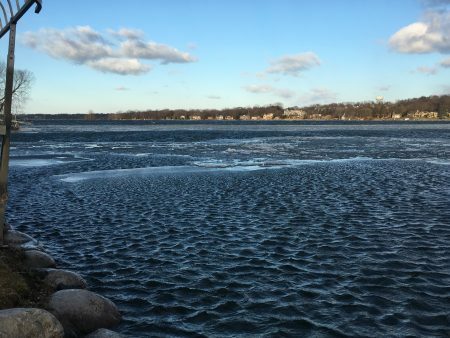 If you are interested in helping report ice-on and ice-off dates for District lakes, contact Jaime Rockney, jrockney@plslwd.org or 952-440-0068. To learn more about this program or view historical ice-on and ice-off data, visit our Lake Monitoring page.